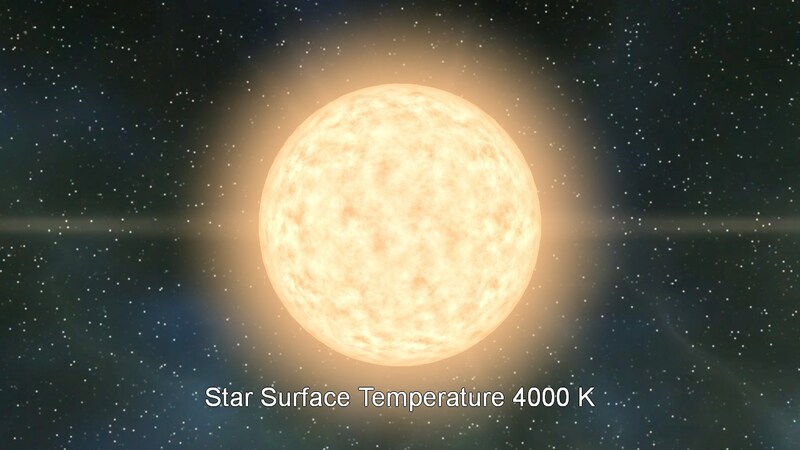 Continuing on from my efforts at rendering stars described in my last post, I decided to have a look at making the visual effect a little more dependent upon actual physical properties rather than simply being a soup of magic numbers that produced an effect I was happy with. 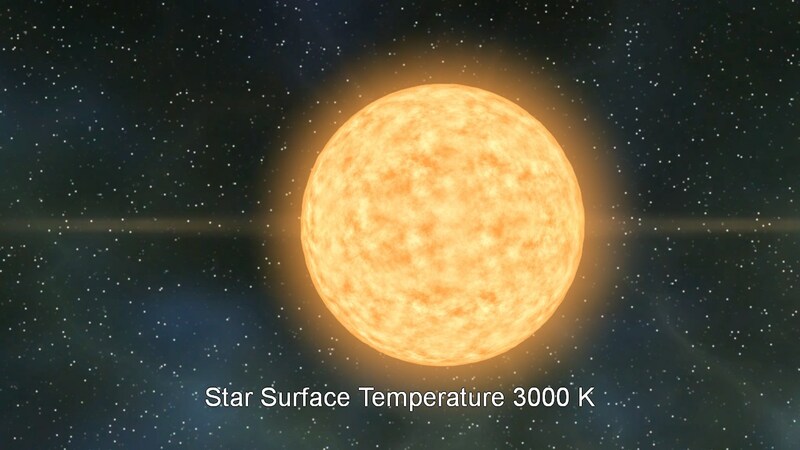 Although partially inspired out of curiosity just to see if I could, the ability to produce different star effects is required anyway if my procedural universe is to be more varied that an endless procession of yellow Suns. Before proceeding I should stress here that my knowledge of solar physics is pretty elementary, being garnered from a bit of Wikipedia browsing and books such as the excellent "Wonders of the Solar System" so don't call me out if anything I say here is imprecise, incorrect or a blatant lie - I don't pretent to be any kind of expert on this subject. 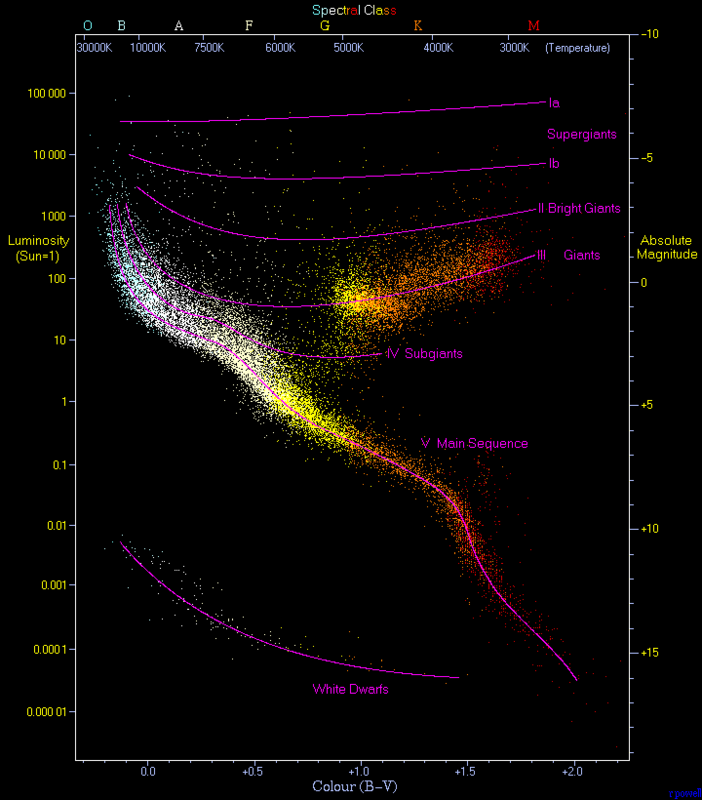 Conducting even my initial research into the subject however immediately revealed that the physical processes at work in a star are pretty complex, scientists' understanding of even the one at the centre of our own solar system is not completely exhaustive, so picking the correct metric(s) to base my graphical representations upon is as ever a trade-off. 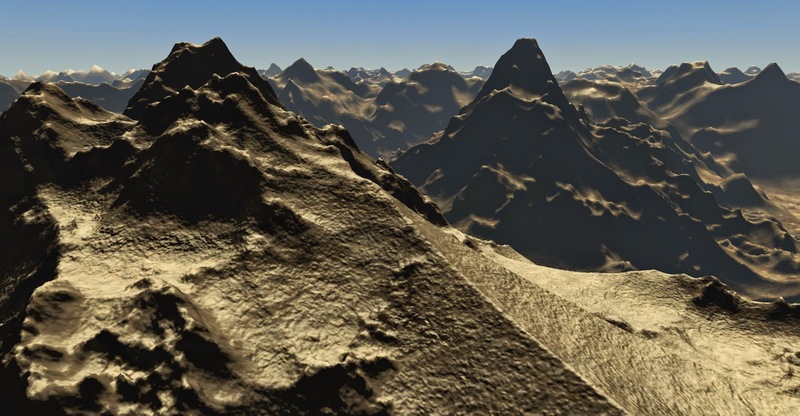 The more physically accurate I want the simulation to be the more work is going to be involved and the more complex and therefore slow the code will become. 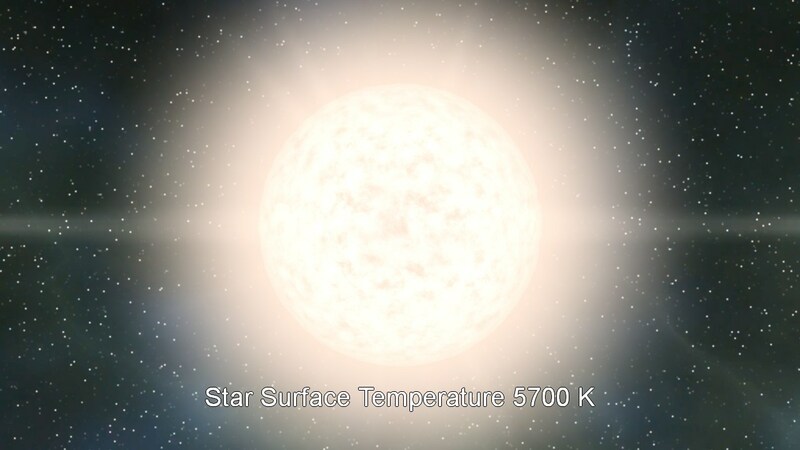 This is a real-time project and the effect has to render in just a millisecond or two so it has to be kept simple, in the end I decided temperature was a pretty obvious measure of how a star looks and of the various temperatures associated with a star (core, surface and corona amongst others) the optical surface temperature seemed like a good fit as it’s largely to do with the observed appearance of the star. 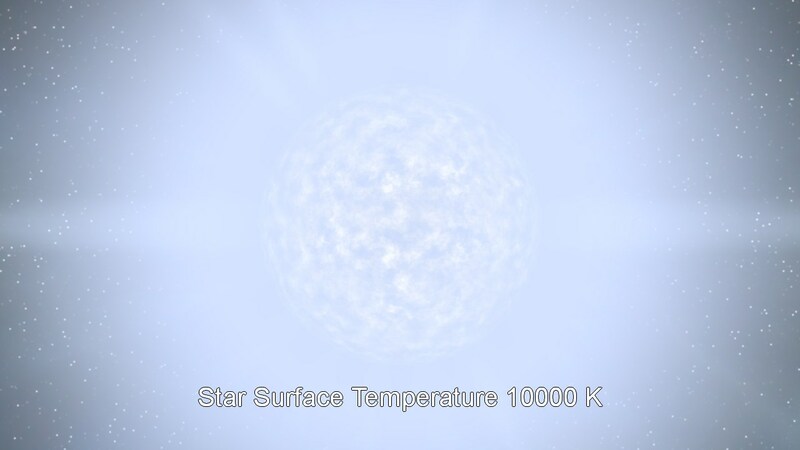 Hereafter I’ll refer to this optical surface temperature as simply “temperature”. 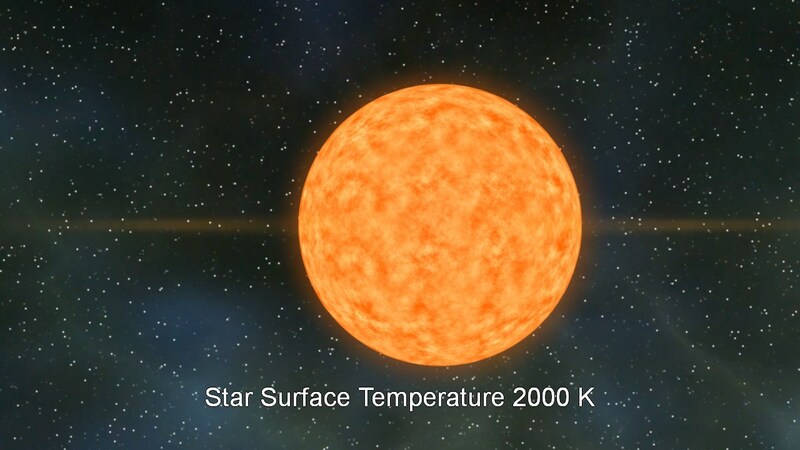 The temperature of stars is expressed using the Kelvin scale with the temperature of our own sun being approximately 5700K. (see this page on Effective Temperature or here about Spectrums for more details on this) There are also various classes and classifications used to categorise stars but one of the easiest to understand that I found is the Hertzsprung-Russell diagram which provides a really clear visual representation of the relationship between stars magnitudes/luminosities and their classifications/ temperatures. For now I’m concentrating on rendering stars from the so called Main Sequence within which our Sun lives, but it would be interesting at a later time to experiment with rendering stars from the white dwarf, sub-giant, giant and super-giant areas. Using temperature as a base then, to render a star using the correct colour therefore I needed a way to convert this temperature value into traditional RGB values I could generate and manipulate in my shaders. It turns out that converting from Kelvin to RGB isn’t entirely trivial but I did find a site that offered a handy look up table that I could use to convert between the two. Rather than perform the conversion numerically in my pixel shader I opted to store this LUT in a tiny texture from which the colour for a given temperature within a given range could simply be read. I actually store 32 levels of each temperature in this 32x32 texture from the base colour up to a blend of a much hotter colour and white to give me something to mix in with the noise texture during rendering. 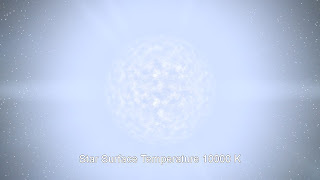 Tying this into my existing star shader was relatively straightforward, I just had to pass in the temperature of the star as a pixel shader constant then use this along with my noise value to look up the Kelvin to RGB conversion texture . I did at first think something was wrong though as at 5700K my lovely yellow and white "Sun" was rendering as a salmon pink sort of shade - not at all sun-like! The temperature of each version is overlayed - an interesting fact I wasn't aware of is how the colour passes from red through yellow through white and finally to pale blue with temperature - mentally I had assumed that white would be the hottest, so I learned something there. Note that it’s not just the colour that’s varying with temperature here, the size and “fuzzyness” of the corona is also increasing as the temperature increases – there’s no particular scientific basis for this, it just felt like hotter stars would be expected to have larger coronas. 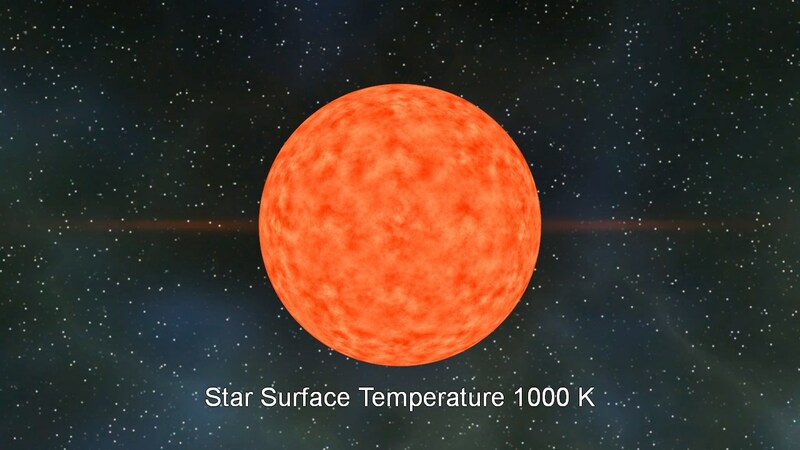 The magnitude of the screen space ray distortion is also linked to temperature, producing more erratic field movement on hotter stars. Take a look at the video below to see the transition occurring in real time – there’s no doubt more that could be done for now I think it’s good enough for my purposes: producing a range of interesting stars around which to base my procedural solar systems.